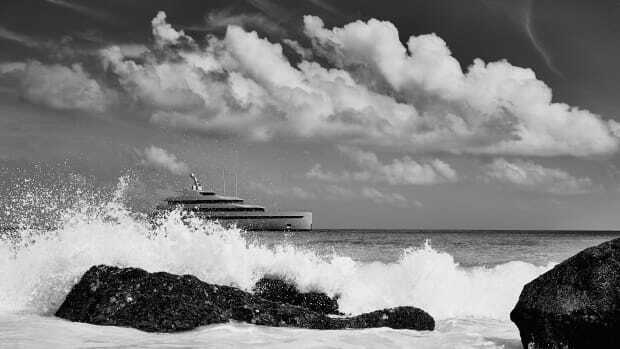 Now that&apos;s what I call a beach club. 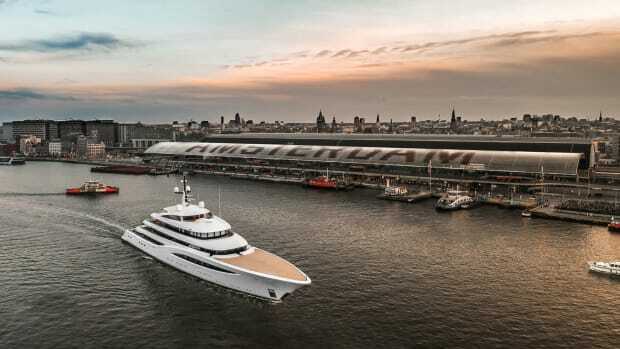 Dutch shipyard Van der Valk has unveiled details of its genuinely unique (patent pending) concept that aims to raise the bar for the mid-size motoryacht market. 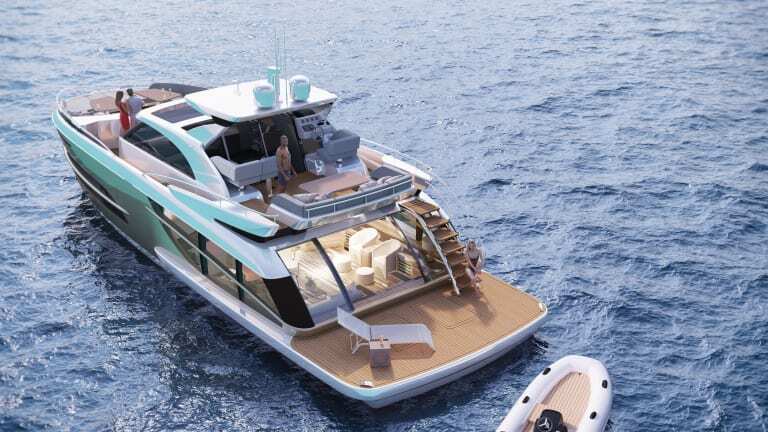 The all-aluminum Van der Valk BeachClub line will provide owners and their guests an unrivaled amount of exterior and interior space for its size. How? By putting the engine "room" under the swim platform. 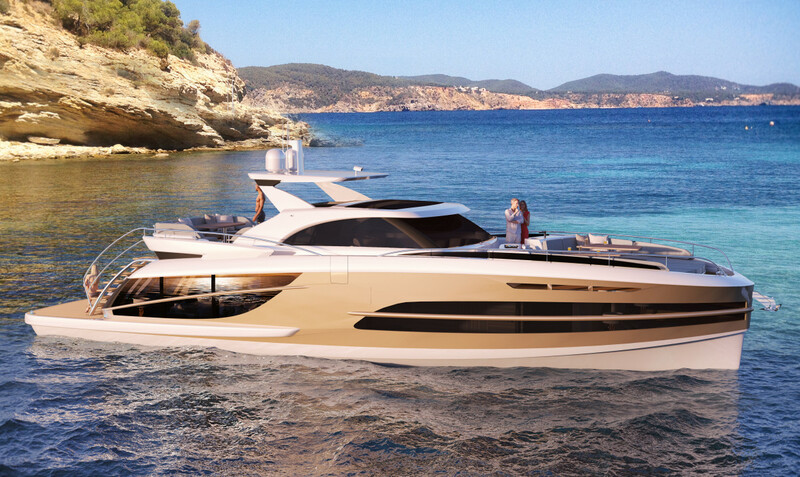 “The BeachClub line is the product of many months of research and development with designer Cor D. Rover and Ginton Naval Architects,” said Van der Valk Sales Director Patrick Lankhuizen. “The aim was to create something that would be genuinely innovative and give clients not only an unprecedented feeling of space but far more space in reality. 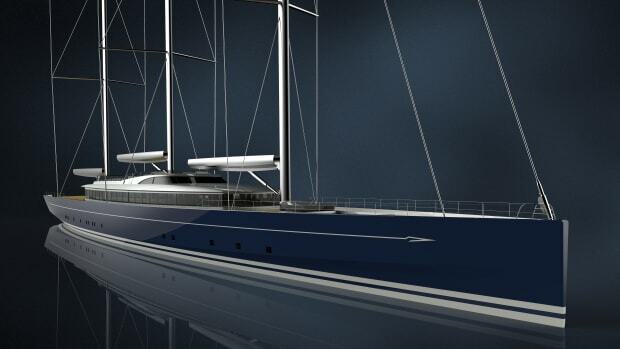 Most yacht concepts are focused on either the exterior or interior volume – our goal was to optimize both." 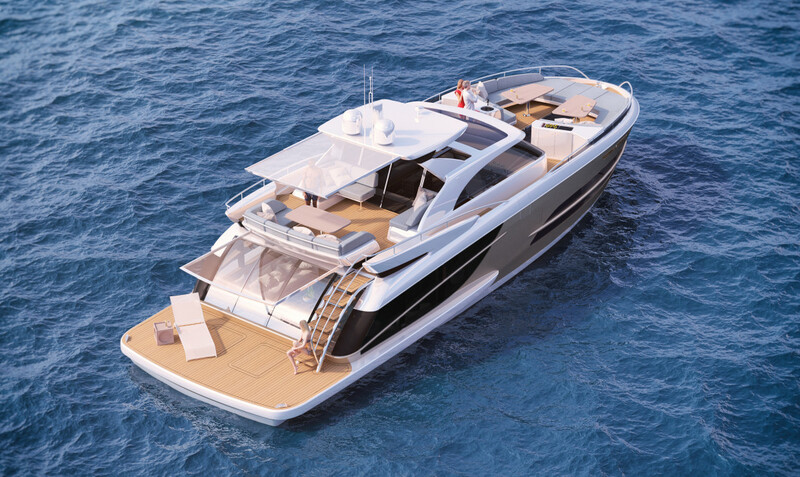 The BeachClub line will be offered in a range starting from 62 feet, driven by a twin Volvo Penta IPS-950 drive train boasting a top speed of approximately 24 knots. 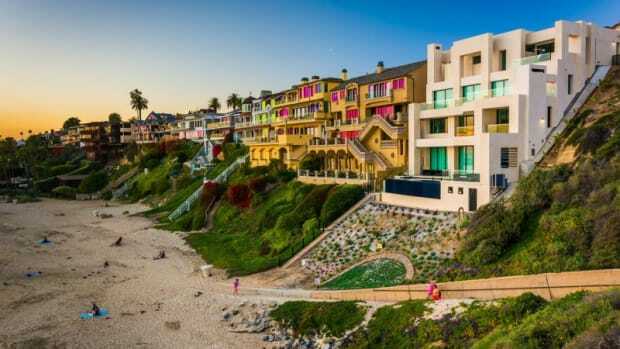 The BeachClub 600 will feature three main outdoor zones to optimize the "al fresco" lifestyle that many owners enjoy. 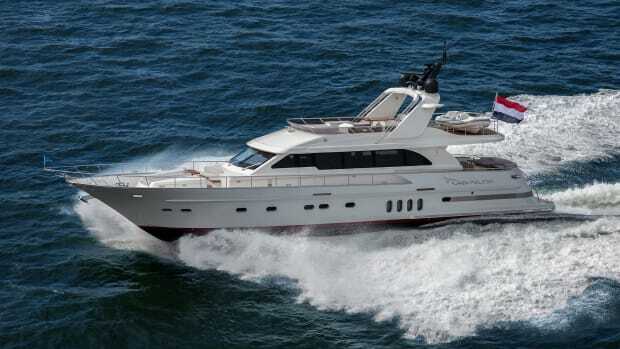 The enormous foredeck area spans approximately 269 square feet and offers various layout options, including a hot tub. 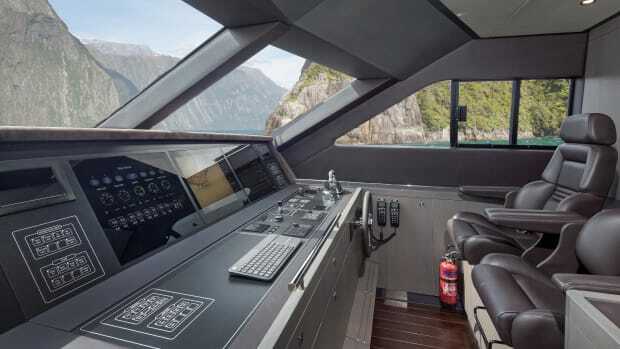 The cockpit is deck is 182 square feet, and includes an outside steering position. 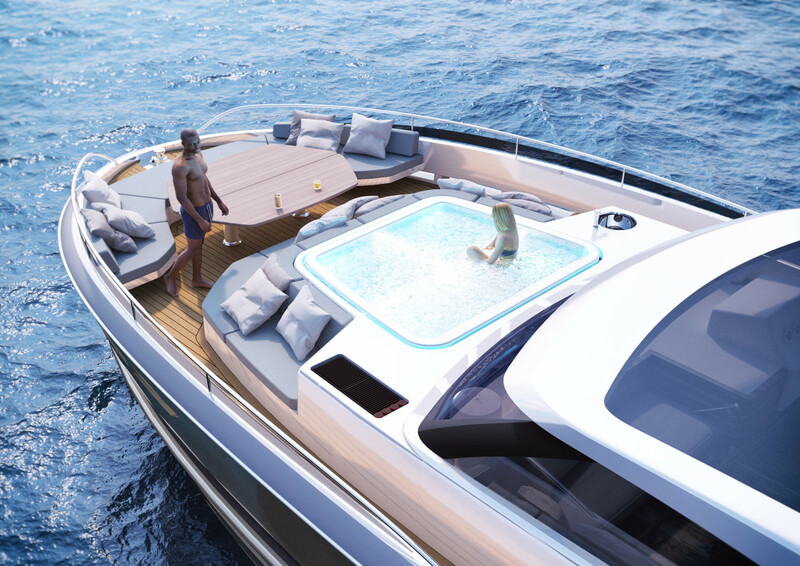 Last but not least, the beach club aft includes both a smart swimming platform and a sun lounge area. 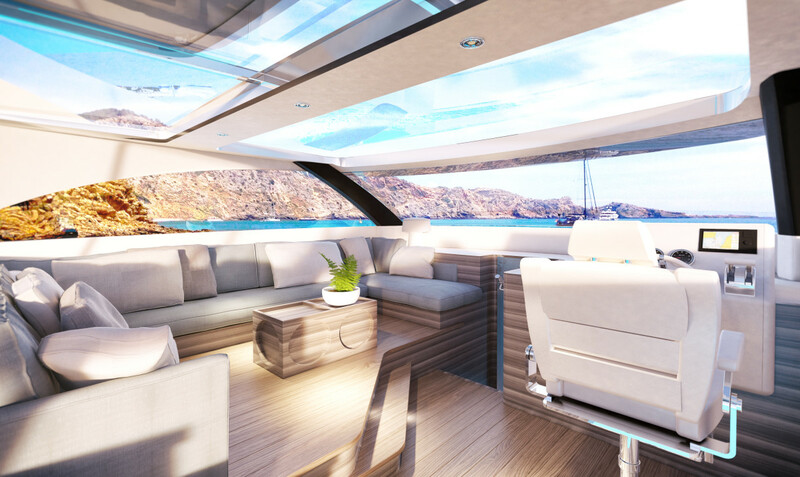 The interior brings a few innovations of its own, for its size, with a forward owner’s suite and two separate salons. The upper lounge has an inside steering position and panoramic views, while the voluminous lower deck lounge includes a galley and dining area—all with direct access to the swim platform via curved glass sliding doors. The roomy ambience aboard is enhanced by a liberal use of glass, with panoramic views from both salons as well as the master suite. Glass inserts throughout the hull afford an additional level of singularity to an exterior profile that already exudes modern elegance. 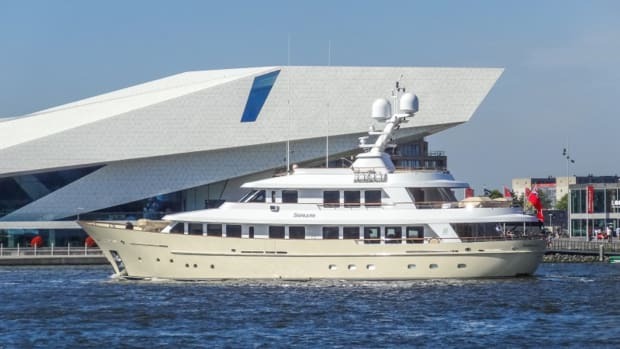 Dutch shipyard Van der Valk has been constructing both steel and aluminum motor yachts since 1968. The family-owned shipyard employs more than 45 craftsmen and is located in Waalwijk, the Netherlands. 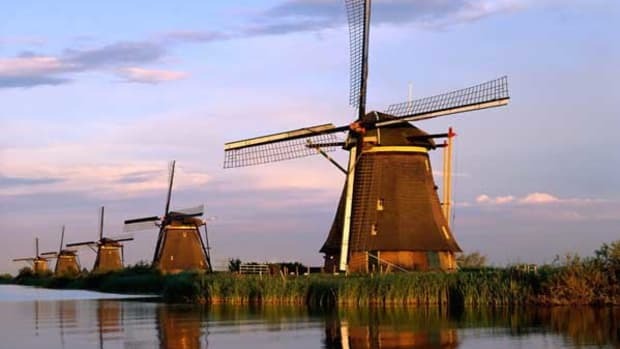 Its founder Wim van der Valk is still a driving force behind the company. The yard has earned a worldwide reputation in part from its award-winning semi-custom Continental series. 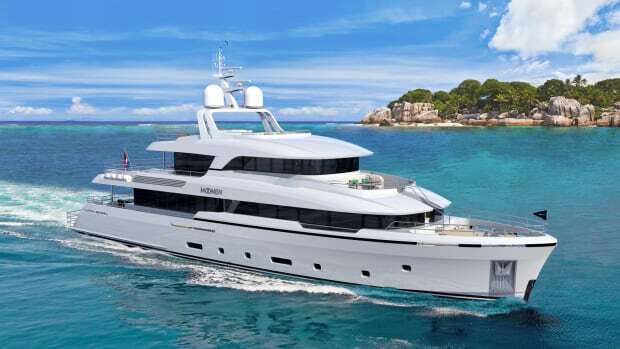 Van der Valk also has the capacity to build fully custom designs.